Tesla’s Autopilot feature is arguably their calling card, pioneering the technology to bring the world closer to the reality of self-driving cars. Incorporating technology, convenience and safety into one clean-cut bundle is no easy feat, especially when you take into account it’s allowing a 750+hp vehicle to drive without human assistance. Data has shown that when used correctly, a driver is safer when travelling under the assistance of Autopilot, rather than manually controlling the vehicle. 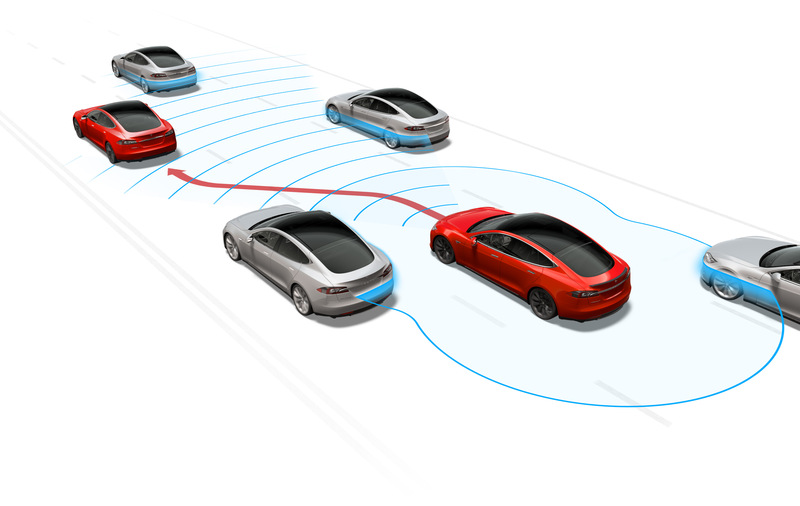 Autopilot software has been a standard feature in all Tesla vehicles since September 2014 and continues to evolve and be updated as new advancements are achieved, often remotely updated within each vehicle overnight whilst your vehicle waits in the safety of your garage; no to-and-fro with the service departments, just hop in the next morning and off you go. This over-the-air feature has been effective since October 2015 and has since delivered increasingly innovative updates to all Tesla models around the world, allowing for some truly staggering performance gains. At the present time, Autopilot is classified as a Level 2 Automated System by the National Highway Transportation Safety Administration (United States). This defines Autopilot as a hands-on experience, giving drivers a better highway-driving experience, increased confidence when operating a vehicle, reducing driver workload and all the while increasing their overall safety. A common misconception is that an electric vehicle implementing its Autopilot function is a wholly automated vehicle. Although technological advancements are very close to achieving this: such functions must be fully developed and then approved by the appropriate regulators. For now, the Autopilot function is designed to enhance driver abilities, improve decision making, augment their perception and assist in the overall control of the vehicle. Through clear audible cues and a highly detailed display on the vehicles control panel, drivers are provided with intuitive information, allowing transparency of the vehicles decision for particular actions. Autopilot is an incredibly innovative piece of technology: for now, it is designed to augment drivers’ existing skills, however progress is well and truly alive regarding full automation. Model S and Model X owners enjoy full use of the above features as standard, with over-the-air software updated continuously improving the abilities of these functions. Current production vehicles and forthcoming Model 3’s will house an updated hardware suite including all the necessary hardware to allow full self-driving capabilities; substantially increasing safety levels such that they surpass that of a human driver. All these ground-breaking features are possible thanks to a myriad of innovative equipment: the vehicles 360-degree visibility (up to 250 metres) is monitored via eight surround cameras, whilst twelve ultrasonic sensors complement this vision and serves to detect hard and soft objects. Using a now-redundant wavelength, a forward-facing radar has the ability to see through not only dust, heavy rain and fog, but also the vehicle in front. The onboard computer runs a Tesla-developed neural net for vision, sonar and radar processing software; it has over forty times more computing power than previous generations and “sees” simultaneously in every direction, using wavelengths far beyond the human sensory system and provides a view of a driver’s environment that they simply cannot naturally access. As with all technology within the vehicles computer system: these capabilities are continuously updated over-the-air to enhance overall driving experience and safety. A new sensor suite is being calibrated using millions of miles of real-world driving to ensure both safety and performance are significantly improved before the above features are fully activated. During this time of calibration, newly built Tesla’s may lack some safety features such as collision warning, automatic emergency braking and some Autopilot functions (lane holding and active cruise control), which are currently available on vehicles with First Generation Autopilot hardware. Once fully calibrated, these features will be activated and updated via over-the-air enhancements, including a rapidly expanding set of new features and functions. Overall Tesla strives to make every one of their vehicles, regardless of age, increasingly capable over time and also keep their customers at the forefront of technology and innovation.